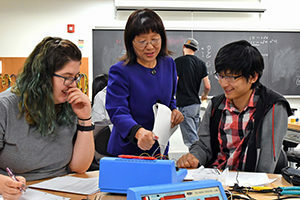 Sponsored by the US State Department’s Bureau of Educational and Cultural Affairs, campuses around the country will spend the week celebrating the value of international education and cultural exchange. 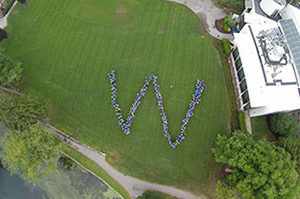 Here at Wheaton, we are planning a busy week of events, including info sessions, student-run events in the evenings, guest speakers and more.Throughout the week, over a dozen events across campus are organized to celebrate the benefits of international education and exchange worldwide. 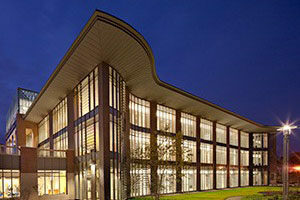 12:30 – 1:30pm: Marshall Center Lunch & Learn: Studying Abroad! 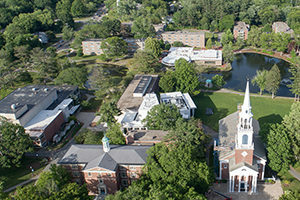 Events throughout the week may be added, cancelled and/or subject to change. Thank you for your understanding! 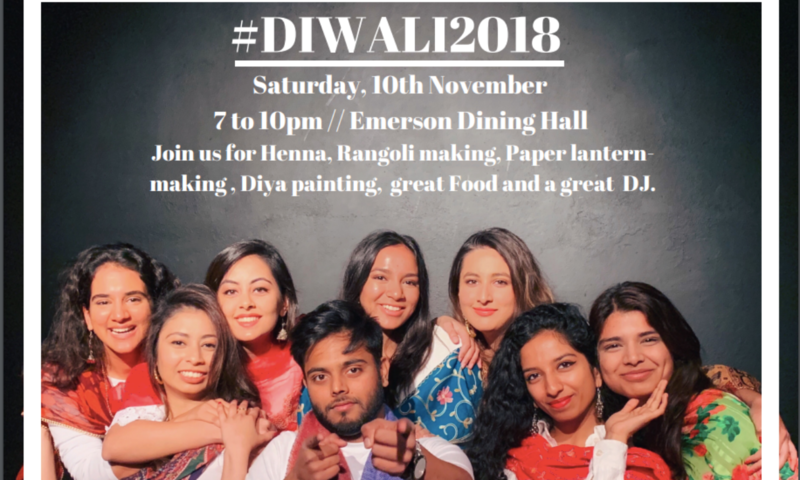 Come celebrate Diwali (the festival of lights) with the Wheaton Community. Diwali symbolizes the spiritual “victory of light over darkness, good over evil and knowledge over ignorance”. Come join us to learn about the history of Diwali and enjoy Henna, Rangoli making, Paper lantern making, Diya painting, music and food. 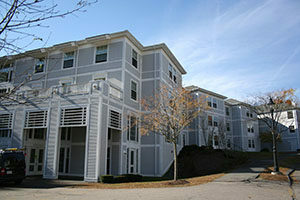 Open to the whole campus! Come stop by Balfour Hood to learn more about study abroad opportunities. 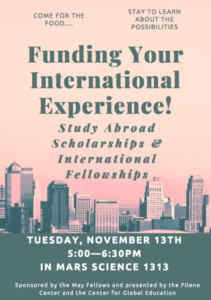 Come to learn about Study Abroad Scholarships & International Fellowships. 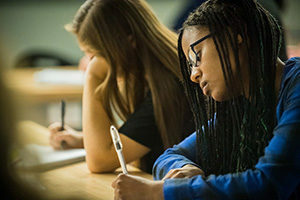 Sponsored by the May Fellows and presented by the Filene Center and the Center for Global Education. 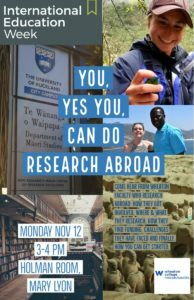 Come listen to a panel of international students share about their summer overseas internships. Come and learn about the application process, their experiences and their self-reflections. 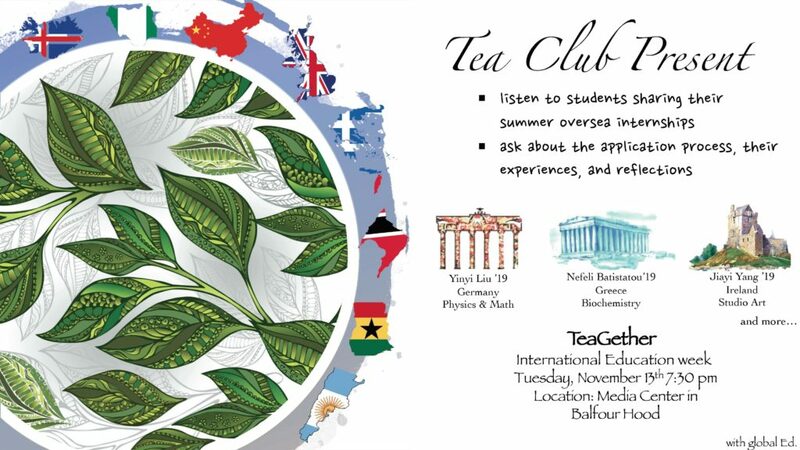 Free drinks by the Tea Club! Come join SASI and watch the biography “Mary Kom” starring Priyanka Chopra. Mary Kom or Magnificent Mary is an Indian Olympic boxer hailing from Manipur, India. She is a five-time World Amateur Boxing champion and the only woman boxer to have won a medal in each one of the six world championships. In honor of Indigenous Peoples Heritage Month, we explore the world created by America’s First Peoples. 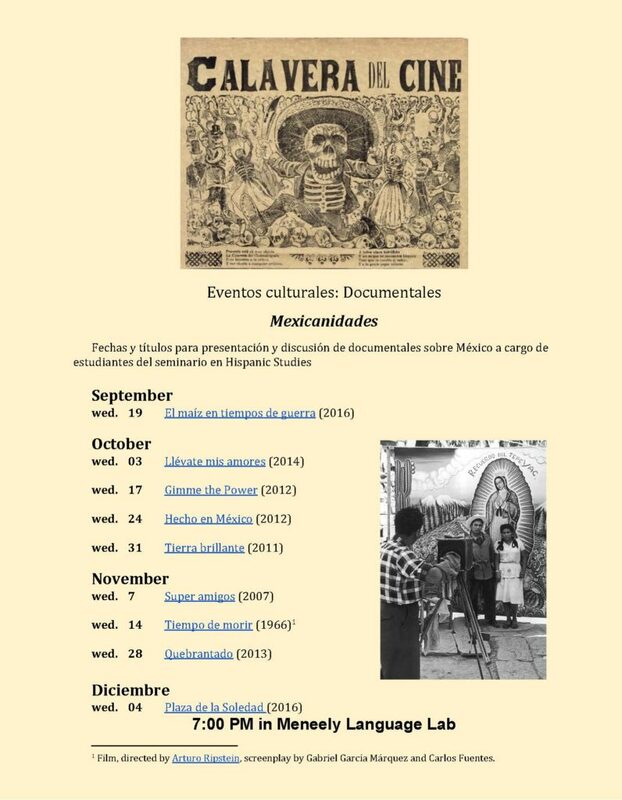 Come join the Hispanic Department as they present documentaries and movies as part of the Serie de documentales: Mexicanidades. Do you like Korean Pop also known as K-Pop? Do you like to dance? Come join this dance workshop to learn how to dance to K-pop. 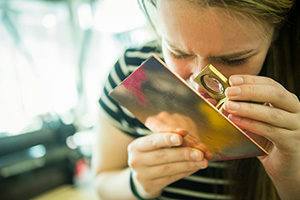 Whether you are a beginner or an expert, it is fun for everyone! The group will teaching you the song “Shine” by PENTAGON. You can listen to the song here. 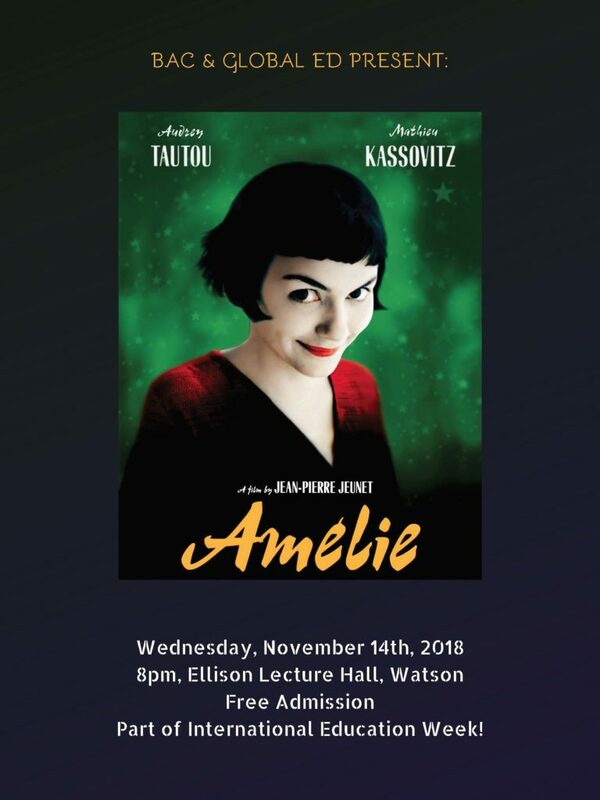 Come join us to watch the critically acclaimed movie Amelie. You can view a trailer here. 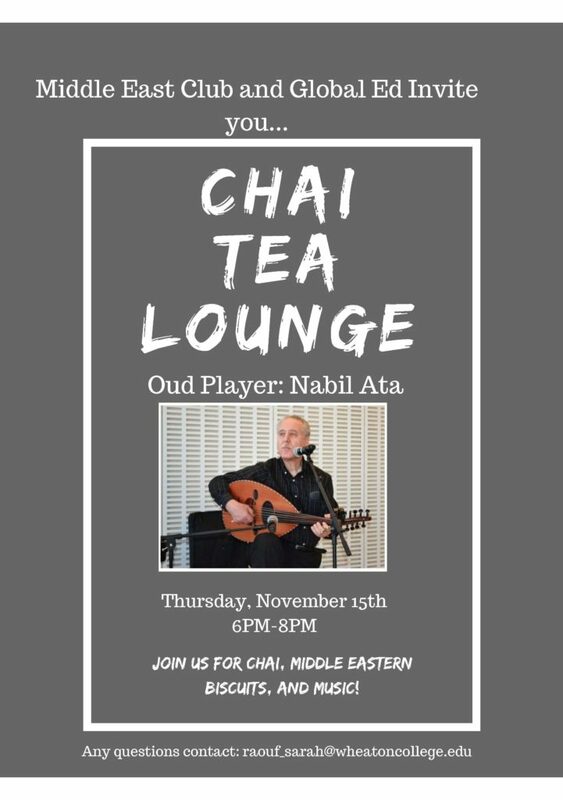 Come and enjoy some fresh Chai, music and biscuits with students. Event: Greek Cultural Association (GCA) presents – Mamma Mia 2! Here we go again! Come and watch Mamma Mia 2! Here we go again! with the GCA. Join them to watch this classic musical! Come sing, come dance, or just enjoy the good spirits of Mamma Mia! Event: Write your name in…. 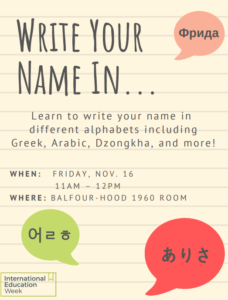 Come on down to the 1960’s Room to learn how to write your name in different languages such as Greek, Hebrew, Arabic and more. 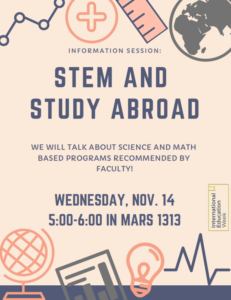 Attend this Study Abroad Info Session to learn more about searching for study abroad programs and learn about our short-term faculty-led programs. 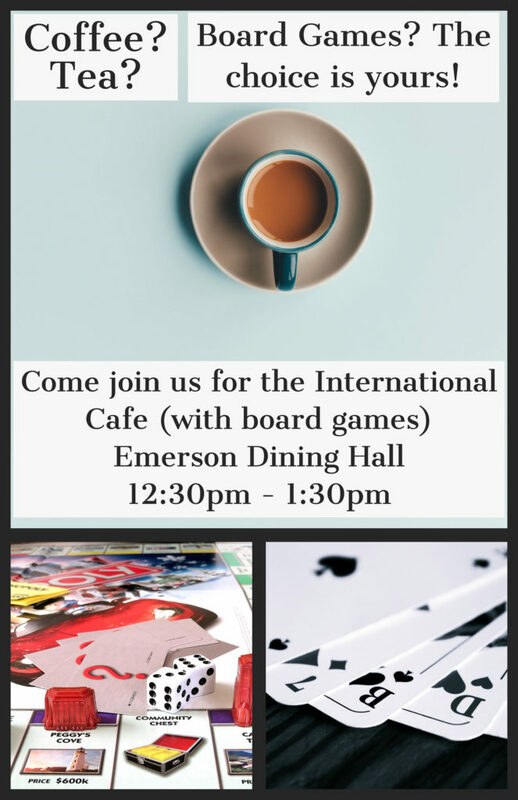 Come join us to drink coffee, tea, play games and speak different languages with the Wheaton community. 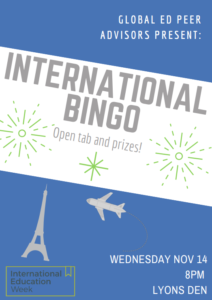 Come end International Education Week with snacks from around the world provided by Dining Services. First come, first served. The menu can be found here. “All about Design as a Healing Mechanism, Sustainability, and Embracing your values and roots”. 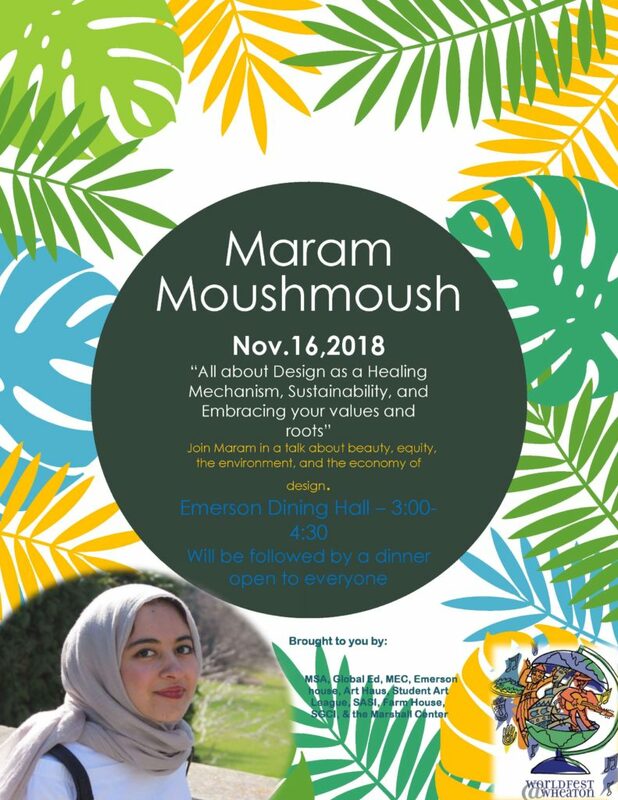 Join Maram in a talk about beauty, equity, the environment and the economy of design. Event: Southeast Asian Student Initiative (SASI) presents – Bollywood Dance Workshop. Do you like Bollywood music? Do you like to dance? 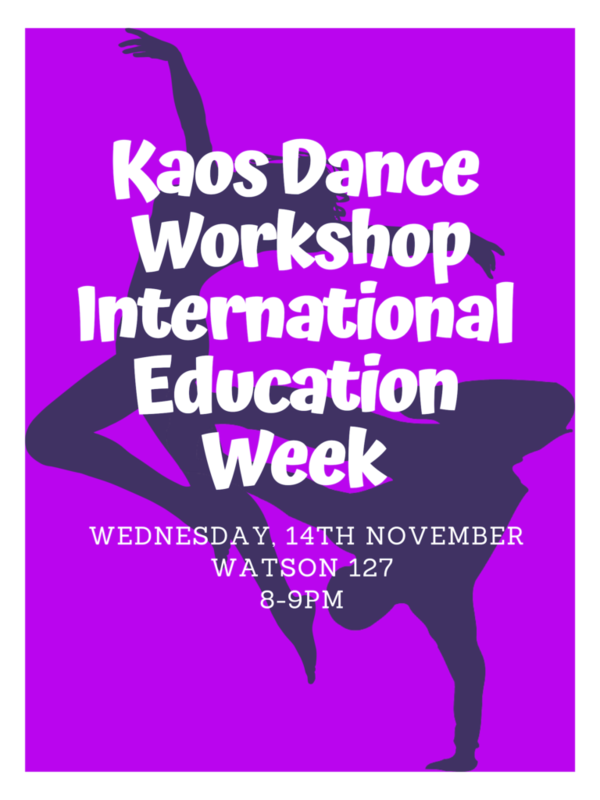 Come join SASI for their weekly dance workshops. Whether a beginner or an expert, come dance and relax with some Bollywood music! Want to learn and feast on some sushi, or even better yet customize and create your very own type of sushi? 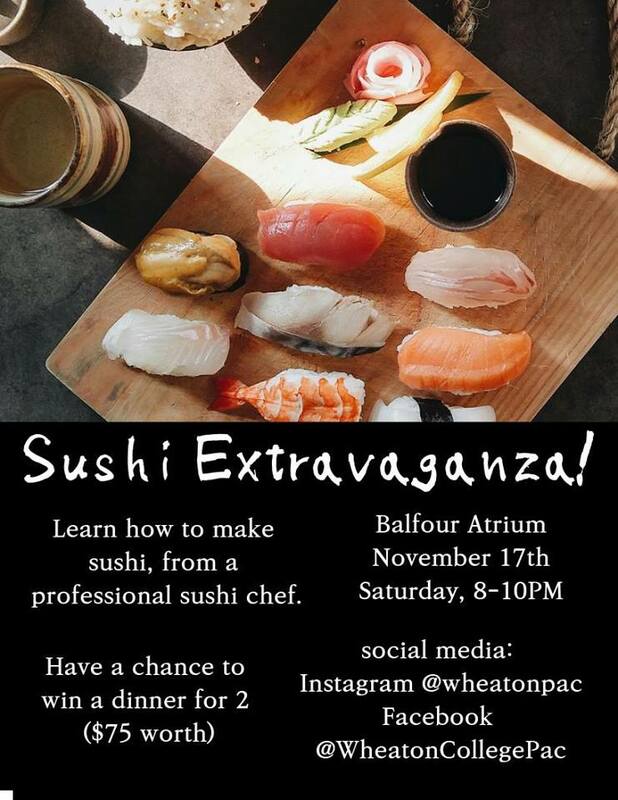 Come and learn how to make various types and styles of sushi, lead and taught step by step from a professional sushi maker brought to Wheaton’s very own campus. Bring an appetite yourself and your friends, and get ready to have a sushi blast of a time!